With the holidays right around the corner, retailers are getting geared up for all the sales they’d like to make to end 2014 on a high note. But Target is still dealing with the repercussions of the big data breach from 2013’s holiday season. A survey released yesterday by CreditCards.com found that 45 percent of customers would “probably not” or “definitely not” shop at retailers that said they had computer breaches. And 48 percent of people said they’ll probably be shopping with cash, which means that they’ll have very fixed budgets. Once the cash is gone, the shopping stops, which will curb spending. These aren’t good stats for retailers. Between November 27 and December 15 of last year, credit and debit card information for 40 million customers was stolen from Target. There was a subsequent 5.5 percent decline in sales at the store. Target has since beefed up its security measures with new machines that make counterfeiting more difficult. But for customers, it’s a question of trust. “As we enter the busy holiday retail season, we are focused on turning the page and delivering an outstanding holiday shopping experience to all Target guests,” a spokesperson for Target, Molly Snyder, told The Huffington Post. 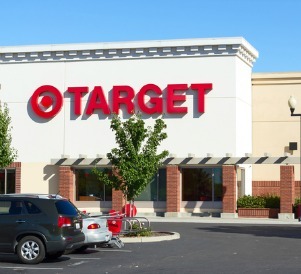 We’re highlighting Target here, but certainly, it’s not the only company that has experienced a security breach. Home Depot, Kmart, Neiman Marcus and UPS are just a few of the others. Consequently, this lack of trust isn’t the fault of any one retailer. It’s the cumulative effect of story after story about personal data falling victim to leak upon leak. Taken together, retailers have clearly not done a good enough job of explaining to the public what they’ve done to shore up those holes in their digital systems. Moreover, they haven’t been able to prevent other breaches. “Customers, who are generally not concerned about security until a breach happens, are looking for transparency and timely responses to breaches, something companies can provide with enough preparation and foresight,” Forbes wrote this summer. That article goes on to reference expert opinion that the best way to recover from a breach: “transparency and communication is key, as clients are often more concerned with how an organization responds to a breach than the fact that it occurred.” Looking back, there’s the question of whether all of these retailers have been as transparent or communicative as possible. Perhaps there’s a role here for an industry organization to play? Since this is an issue that a number of retailers are facing, maybe it’s time for the industry to take steps as a unit.